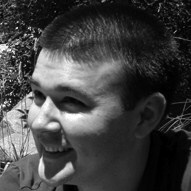 Derrick Laux is a student of the College of Liberal Arts and Sciences majoring in English Literature. He is Superstition Review’s Administrative Team Manager, head of the Administrative Team. This semester he is a senior. Derrick Laux: I manage four interns in areas of administrative duties including advertising, reading series, funding & development, and contests. My job is to create workflows, manage deadlines and be available to answer any questions and assist with the workload in each of these four areas. DL: I contacted Trish Murphy, our Editor-in-Chief, with questions about a couple of specific fall and summer courses and told her that I was looking for an opportunity, like an internship, that would help prepare me with some marketable skills and resume building attributes. She said she needed some help managing the workload for Superstition Review and it seemed like a perfect fit at the perfect time. I was afraid that my schedule would not allow me the freedom to partake in an internship that required a lot of physical presence on campus, so when she informed me that the majority of the work was done online, I saw something that could potentially work. SR: What is your favorite section of SR? DL: Personally, I like the interviews. I love knowing background information about authors and artists and the opportunity to get to know them on a personal level. Their writing affects and influences so many people that I just think it’s really neat to humanize them for a brief instant and see what makes them tick, what they do in their everyday lives, and what inspires them. DL: Most of the time, I don’t feel qualified enough to answer a question like this or make any kind of literary assessments due to the limited nature of my reading. In comparison to others, I feel like I’m very under-read, but if I could pick anyone right now, it would be a writer from the American Southwest, namely Leslie Marmon Silko. I’ve not read a lot of her work, but I’m absolutely infatuated with Ceremony and the spiritual healing that characterizes that book. It’s beautiful. Anyone that can write something like that, I’d like to see more of their work, especially something exclusive to Superstition Review. I’m falling in love with the Southwest and really feel like it’s neat if we can publish local authors representative of the region that we represent as a literary magazine. Rudolfo Anaya, Barbara Kingsolver, and other contemporary Southwestern writers would be my ideal contributors. DL: I think I’d love to be either the Web Design Editor or the Interview Coordinator. I’m infatuated with logos, graphics, and the overall visual appearance of things. I feel like you only get one chance to make a first impression, and the design of a page usually either clicks the interest switch on or off in a person’s head. Great design is an attention grabber and sets an immediate successful tone while poor design shuts people off in an instant. Their minds are already tainted with bad thoughts if the design isn’t up-to-par. I think being the interview coordinator might be just as fun and rewarding because as I stated before, I love getting to know people on a personal level to see what makes them tick and inspires them to write the things that influence and move our everyday lives. DL: The new design of the webpage and the reading series. I feel like there’s so much potential for both to help establish Superstition Review’s name and get the word out about our publication. Never before have I had the access to deal with such established and talented writers. The chance to meet some of them and even host them at one of our readings is a big goal of mine that really excites me. DL: I’m currently reading whatever is assigned for my classes. Luckily, the books have been interesting. Recently, I just finished Breakfast at Tiffany’s by Truman Capote and Double Indemnity by James M. Cain. I thought Breakfast at Tiffany’s was a great book, far better than the film. DL: Nfl.com and as of late, Craigslist. I’m trying to get set-up in my new place and Craigslist is a life-saver. There’s a lot of good stuff on there whether you’re poor or not. DL: It would be a class called either “NFL Football” or “American Microbrews.” Beer has become such a hobby of mine and I love spending my free time finding out more about new beers and breweries. It’s the new wine tasting in this country because there are so many good microbreweries out there. Football is self-explanatory. If you don’t like football, there’s something wrong with you; I don’t care how nice you are. SR: What are your feelings on digital medium? DL: I like the easy access that technology provides, but it really does leave me feeling jaded and detached at times. I can’t argue with the convenience that new developments like Kindle provide, but most times I see someone using a device like that and think, “Man, I really miss the simplicity of a paperback book.” There’s a lot of quality stuff to be said in blogs out there, but I just don’t like the feeling of sitting behind a screen all day long. It does things to people and its very dehumanizing, especially when I catch myself being mesmerized by the computer.